This is an egg less version of cup cake. Here the custard powder gives a different taste to the cake. The custard powder acts as an egg substitute here. Do try it out :) I have used and egg free custard powder. Note : If any one is allergic to eggs please check out the ingredients of custard powder. There are brand that are egg free. So you can use that brand if you want to completely avoid egg. Beat the butter soft and add sugar to it. Mix well. Then add the sifted all purpose flour, custard powder and Baking powder to the mixture. Mix it till well combined. Add milk and Vanilla extract. Combine till well mixed. 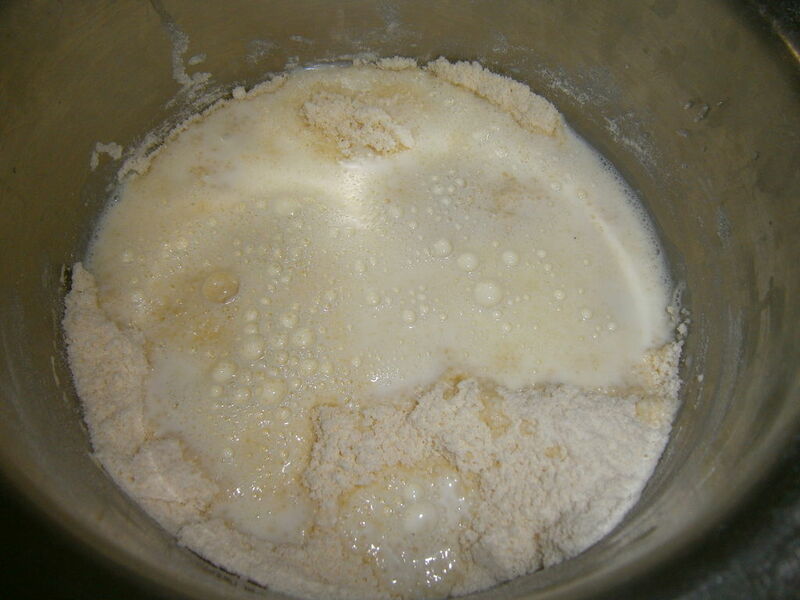 Mix until a creamy batter shown below is formed. Grease the cupcake molds with butter. Pour the batter into it. Preheat the oven to 180 deg C for 10 mins and bake the cake for 35-40 mins. Cool it completely for at least 20 mins. Ponchos For Chickens made it! it sure looks yummy.how many cupcakes does it make? i was wondering how it would taste if i added dark chocolate. any clue? May be we can just take some amount of batter and mix it with melted chocolate. Then the amount of milk should be reduced a little Then create marble effect or swirls using both the custard batter and the chocolate batter. This is just an idea. You do know that custard powder contains egg powder, just incase anyone has allergies. Thank you for the valuable comment. I used an egg free brand. Bird's Custard is also egg-free custard. So in case any one is allergic do check the ingredients. I will surely update this information. This is so awesome! They look so tasty. Gotta try this before the end of the week!